Walk above the trees and look for hidden treasures during the Geocaching walk in Salcey Forest! About SALCEY FOREST: Salcey Forest is a former medieval hunting forest in the south of the county of Northamptonshire in England. A tree top forest walk was constructed which has attracted many visitors and rises through the forest to a height of about 15 metres (49 ft), at a gradient not exceeding 1 in 12. At the end, a raised viewing platform sits above it at 18 metres (59 ft) from the ground, which is accessed by stairs. There are public footpaths through the forest and a range of wildlife can be observed. The forest is a remnant of the medieval royal hunting forest. Reminders of the past can still be found, with many miles of ancient woodbanks, building remains and ancient trees. The ‘druids’ or veteran oaks in Salcey are rare and amazing wildlife habitats, and some of the old oaks are believed to be over 500 years old. The forest has a café in one of the main parking areas. During the Second World War, elephants from circuses were put to use to fell trees. There is a pond named The Elephant Pond where the elephants could bathe at the end of the day. The forest was served by its own railway station on the Stratford-upon-Avon and Midland Junction Railway until 1908. 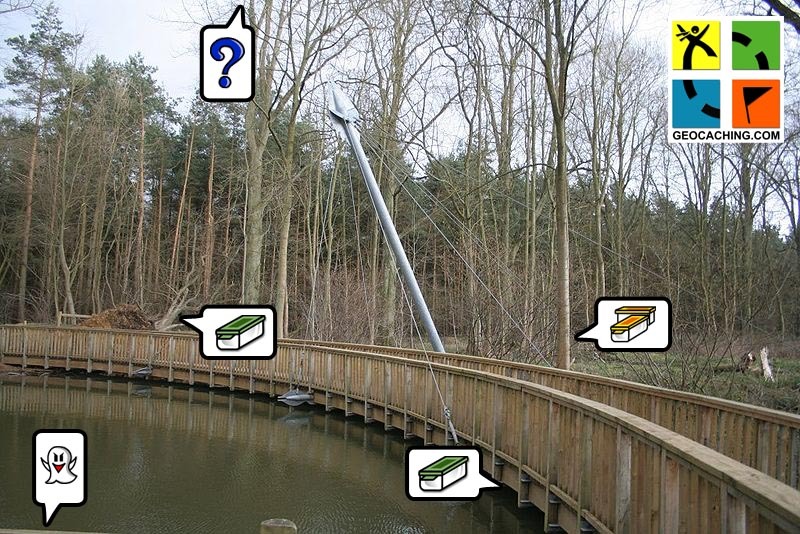 Sign up at: walking@Cranfield.ac.uk, write “Belen – Geocaching at Salcey” in the subject. To make possible this walk we will need cars and volunteering drivers, so if you have a car and you are willing to drive, please state so in the email. Needless to say that fuel and parking expenses are covered. Meal provided? : No. Bring snacks and packed lunch. Gear: Comfortable and waterproof clothes. Hiking boots are recommended, the paths will be muddy and we may need to get into the woods. Other information: The weather forecast is not pleasing… Do not forget to carry sufficient water with you. This entry was posted in Blog, Local walk, More than walking, News, Past events, Walks and tagged forest, geocaching, gps, hunt, salcey, search, treasure.